Here’s how it began. I was approached by a company called DailyWorth and it’s amazing dynamo of a founder, Amanda Steinberg. DailyWorth is committed to empowering women in their relationship with money, with the goal of increasing their net worth and self-worth. Amanda was creating a new arm of the company called Worth Financial Management which would be an investment service for women. She wanted an assessment tool that could measure women’s personalities and match them to a type, or an archetype, so that any investment advice WorthFM could give to these women would be particularized to their archetypal goals, values, behavioral propensities, etc. Amanda approached me because she knew I was the founding chair of the Jungian and Archetypal Studies Specialization Program at Pacifica Graduate Institute in California. It's a specialization within the larger discipline of depth psychology, which is most simply described as a form of psychology which takes seriously the existence of the personal and collective unconscious, and how we are affected by both. Inside of that collective unconscious live the archetypes, which are universal patterns in the psyche. If you want to understand archetypes, just watch any Disney or Pixar movie, where they are writ large. The Ruler, the Innocent Child, the Fool, the Sidekick, these are all universal archetypes, and so the theory goes, we're hardwired to recognize them. All good typing systems are attempting to identify the most prevalent universal patterns, and I was tasked by Amanda to do just that with women and money. I had been studying and teaching archetypes for over 25 years, so I was well versed in multiple typing systems, but what was new for me before I began the project was thinking about women's relationship with money. I began in full geeky professor mode and read all the research I could find in two areas--women and money, and money and personality types--because what I found was that there was no typing system that combined women and money, which made developing this system really delicious! The research led organically to the identification of five different types, and I knew I had hit on something deeply archetypal when I realized that those types were connected to the elements--it doesn't get any more archetypal (i.e., elemental!) then that. These elemental systems occur in both the east and the west and are over four thousand years old and occur in variation in many wisdom traditions. So connecting the five types with five corresponding elements allowed me to understand them more deeply. 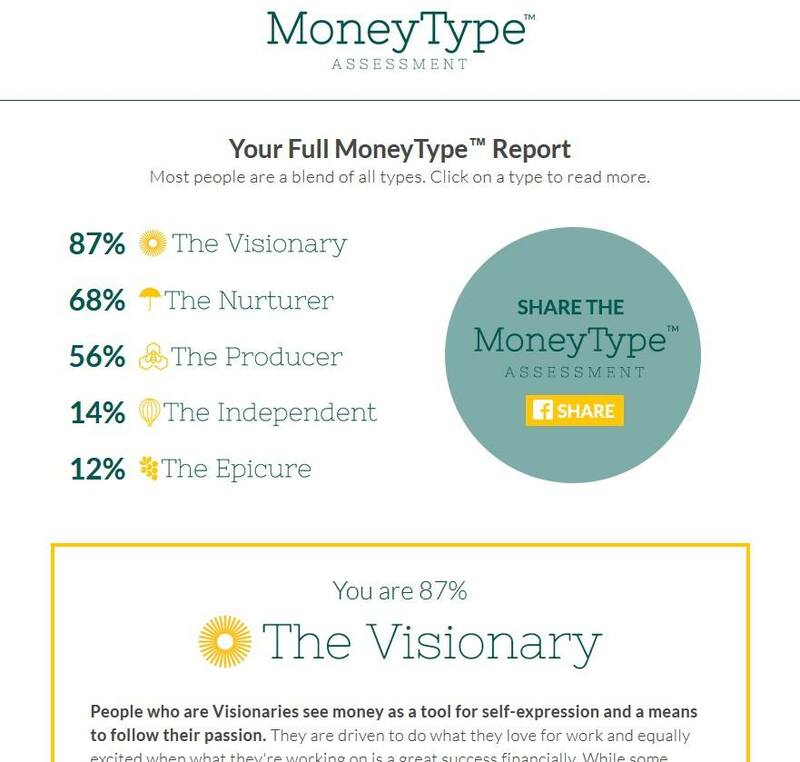 In consultation with Amanda’s team, we named the types The Visionary (Fire), The Nurturer (Water), The Producer (Earth), The Independent (Spirit), and The Epicure (Air). After that, it was simple. I tested the theory by interviewing nearly two hundred women (many of whom orbit around Pacifica—thanks to all! ), and that allowed me to flesh out the types even more. I was able to discern each types' fear around money, their money goals, their guilty pleasures, their gifts with money, and their weakness around it, their sabotage patterns, etc. I also began to understand our conflicts around money as archetypal conflicts. For instance, a woman with a strong earth (The Producer) and water (The Nurturer) has a natural inclination to be generous to those they love, and they’re also very grounded and controlled when it comes to money. If there came a time when someone close to them needed financial support that would tap too much of their savings, that could cause conflict, because they want to be generous (The Nurturer), but they’re really uncomfortable without that savings (The Producer), and then they feel guilty about being uncomfortable, and they wish it didn't matter to them but it really does, etc. The New York Times piece went live on that Saturday, and included a link to the MoneyTypes assessment. After taking a 40 question quiz, you immediately receive your top archetype; if you enter your email, you receive your whole weighted profile. This is useful to see because your second archetype might be really close to your first, and it’s always useful to see what’s down at the bottom, the archetype you have little to no energy around! Men will be asking, can it work for them as well? Of course! Archetypes, in my mind, are gender-neutral, though how we live out those archetypal energies may be gender-inflected. Though the purpose of the survey is to help understand and empower women, I’d encourage men to take the survey as well, and learn something about their archetypal relationship with money. If you take the survey, I’d love to know your thoughts! Email me at jenniferlselig@gmail.com. Read the full New York Times Article titled Financial Advice for Women, From Women by clicking here. Take the survey Money Type by clicking here. 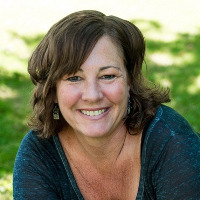 Jennifer Selig, Ph.D. is founding chair of Pacifica's Jungian and Archetypal Studies Specialization and the M.A. Engaged Humanities and the Creative Life Program. Dr. Selig currently teaches in both programs, is a published author of many books including Integration: The Psychology and Mythology of Martin Luther King, Jr. and His (Unfinished) Therapy with the Soul of America; a photographer; and writer of non-fiction and screenplays.